How'd you like them now? The band behind insanely catchy single 'How Do You Like Me Now', The Heavy are a four-piece from hailing from the picturesque city of Bath, England. The only group to have ever been asked by David Letterman to perform an encore on his show, the neo-soul rockers are celebrating this summer with a world tour that brings them to US shores for four much-anticipated dates. More than just a one trick pony, the guys, Kelvin, Spencer, Dan, and Chris are gearing up to release their 5th album, Sons, so expect to hear tunes from that, and of course, their funk-infused back catalog, excellently led by Kelvin's gravelly vocals - bring your dancing shoes! 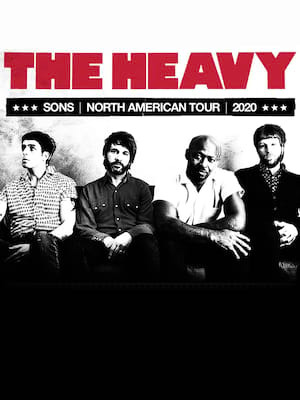 Seen The Heavy? Loved it? Hated it? Sound good to you? 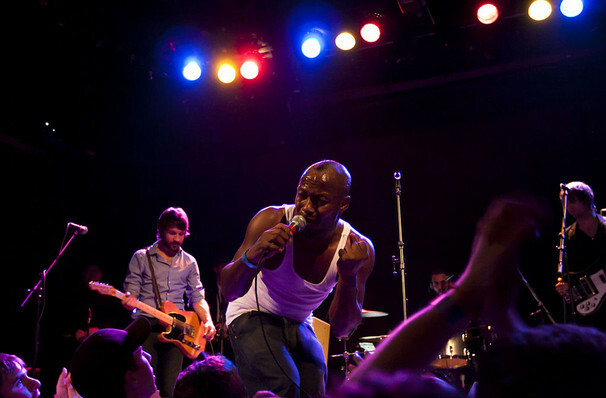 Share this page on social media and let your friends know about The Heavy at Teragram Ballroom. Please note: The term Teragram Ballroom and/or The Heavy as well as all associated graphics, logos, and/or other trademarks, tradenames or copyrights are the property of the Teragram Ballroom and/or The Heavy and are used herein for factual descriptive purposes only. We are in no way associated with or authorized by the Teragram Ballroom and/or The Heavy and neither that entity nor any of its affiliates have licensed or endorsed us to sell tickets, goods and or services in conjunction with their events.